Suzette is originally from Texas and enjoys living in the Flathead Valley with her husband. Suzette has 3 kids, two grand-daughters, and 2 dogs (one dog being our resident therapy dog name “Chewy”). Suzette has 11 years within the assisted living industry, starting in 2007 in housekeeping as a supervisor. She has extensive knowledge of every job in this industry, which helps her appreciate each employee within Rising Mountains. With a smile and encouraging word, Suzette loves to make a difference in people’s lives and the elderly community. Suzette “goal star standard” would be to achieve the highest quality of life for each resident. Suzette loves to spend time with her family and shop for sparkly things, and pink is her favorite color. Treena is a native to the Flathead Valley, growing up in Whitefish. Treena attended college in Oregon for Business, Accounting, and Finance. After college Treena moved back to the valley where she currently resides in Bigfork with her husband and son. Treena owns three business here in the valley, her expertise in each business is HR, Budget, Structuring, Compliance, and Finance. Treena was brought on board, here at Rising Mountains in 2016 to use her experience to continue furthering the businesses expansion and growth. Treena enjoys making a difference within a company that will filter down to benefitting the owners and employees. Treena loves to hunt, fish, and enjoy the outdoors with her friends and family. Ginger graduated from Paul D Camp Community College in 2011, with her degree in Nursing. She has an extensive history within medical clinics and hospitals in the medical and surgical units. She has a heart to serve patients and their families with care and compassion. She lives in Kalispell with her husband and three children. Ginger raises chickens and loves to go on hikes. When choosing a place to live it was literally closing the eyes and pointing to the map, which landed them here in the Flathead Valley. Jamie earned her nursing degree in 2008 at Salish Kootenai College. Jamie has worked in the medical industry for 30 plus years. Jamie is a native to Montana. She currently lives in Bigfork with her husband. Jamie has four kids and seven grandchildren. In grade school when asked what she wanted to do for a living when she grew up she said, “I want to be a nurse to help people”. With Jamie’s mother being a home health nurse that took her to work as a child, it really made an impact on her later in life which lead to her career choice. Jamie loves going to basketball games, gardening, and hanging out with her grandchildren. John completed culinary school in his home state of Iowa in 1998. 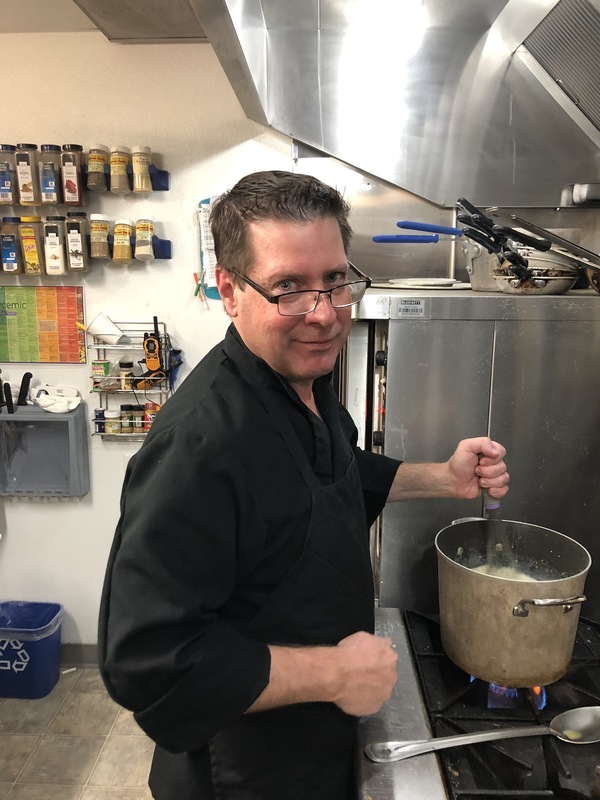 Following his graduation, John moved to Phoenix, Arizona and worked as the sous chef at Briarwood Country Club where he met his wife, a college student from Kalispell. John worked as a personal chef for Hall of Fame baseball player, Randy Johnson for five years and then spent the next twelve years as the executive chef at St. Joseph’s Hospital and Medical Center. John and his wife have always loved Bigfork and were able to relocate here in the spring of 2017 when John became the executive chef at Rising Mountains. He and his wife are thrilled to be raising their three children in the Flathead Valley and enjoying all that it has to offer.